In Getting Married, Carrie Yodanis and Sean Lauer examine the social rules and expectations that shape our most personal relationships. How do couples get together? How do people act when they’re married? What happens when they’re not? Public factors influence our private relationships. From getting engaged to breaking up, social rules and expectations shape and constrain whom we select as a spouse, when and why we decide to get married, and how we arrange our relationships day to day. While this book is about marriage, it is also about sociology. 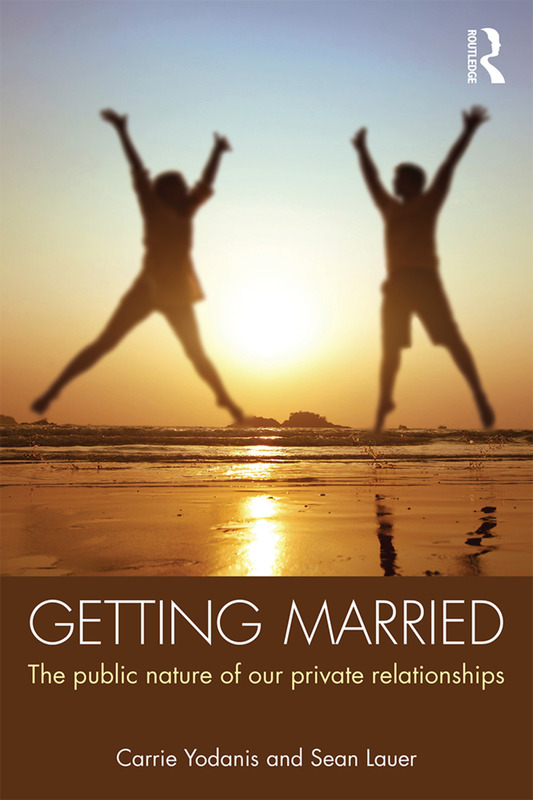 Yodanis and Lauer use the case of marriage to explore a sociological perspective. Getting Married will bring together students’ academic and social worlds by applying sociology to the things they are thinking about and experiencing outside of the classroom. This book is a useful tool for many sociology courses, including those on family, gender, and introduction to sociology. Getting Married demonstrates the importance of sociological perspectives on the family, providing vivid appraisals of the predictability and variability of marriage in the life course. Carrie Yodanis and Sean Lauer accomplish the remarkable…an engaging book that succeeds both as a lively guide to the new world of heterosexual intimacy and as an authoritative sociology primer. Surveying everything from hook-up culture to stay-at-home dads, from bridezillas to separate bedrooms, Getting Married: The Public Nature of Our Private Relationships reminds us that the most personal aspects of our lives are not just of our own making. 4. Why marry at all? Carrie Yodanis and Sean Lauer are Associate Professors of Sociology at the University of British Columbia. Carrie does research in the sociology of the family and gender. Sean uses institutional approaches within economic sociology and the sociology of community. For over 10 years, Yodanis and Lauer have been collaborating on research that takes an institutional approach to the study of marriage. This innovative series is for all readers interested in books that provide frameworks for making sense of the complexities of contemporary social life. Each of the books in this series uses a sociological lens to provide current critical and analytical perspectives on significant social issues, patterns and trends. The series consists of books that integrate the best ideas in sociological thought with an aim toward public education and engagement. These books are designed for use in the classroom as well as for scholars and socially curious general readers.